The New Duncan Logo Hat has a very classic Duncan style. The timeless Duncan Logo is stitched in white on a black hat to give it a very classic, cool look. The Duncan Logo is also stitched on the back of the hat and there is even an awesome Duncan Logo design printed under the brim! Duncan created the Logo Hat using a high quality, New Era 59Fifty, Fitted Hat to guarantee a great look and a perfect fit. 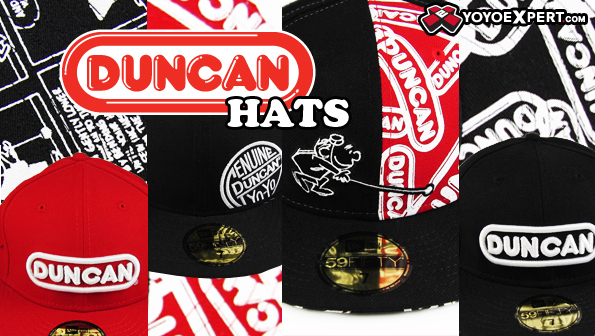 So support the original yo-yo company and show some Duncan pride with the Duncan Logo Hat!